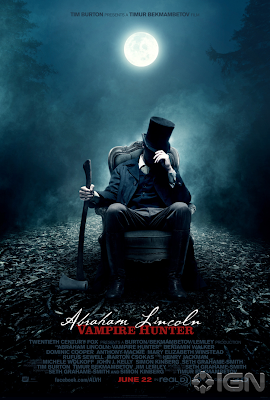 Abraham Lincoln, Vampire Hunter?? Can someone tell me if this is for real, because if it is... I'm totally going to see it. I mean, if you're going to totally misrepresent everything about Lincoln in order to glorify him, you might as well throw in some vampires and make it hysterically entertaining. I'm not sure that this would strain credulity more than most typical accounts of Lincoln's life and political career.